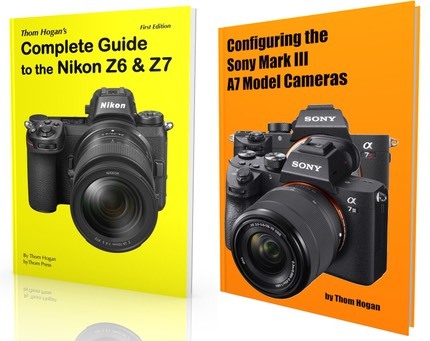 Are Adobe and Nikon Cooperating? As I reported a month ago, the Z7 NEF files have some interesting new information in them, which line up with Adobe's converters. The question that is unanswered is how much of this is Nikon and how much is Adobe? My best guess is that Nikon asked Adobe how to specify new default information for NEF files and Adobe said "include these XMP values in the file." That's what it looks like to me. Which means that Nikon is delivering the values here; they're not from Adobe testing. The good news is that the Z7 NEFs look, at defaults, more like the embedded JPEG than they used to. And Nikon hasn't chosen terrible defaults, though I don't tend to use them.